The school is a private company that will be managed by the board of directors of Machavenga Investimentos Limitada. The board of directors (the investors) are solely responsible for financial decisions pertaining to Machavenga Lda. 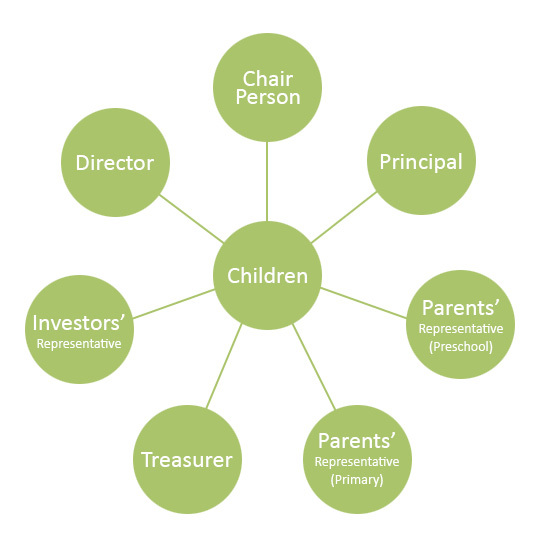 The remaining responsibilities of running and managing the school will fall within the following structure. The school secretary will be a paid employee to be present at all meetings, however not as a voting member. Parents are eligible for nomination after one term at Kingfisher Lake International Children’s College and must have no outstanding debt with the school. Furthermore, a parent may only be nominated if they have one or more children in the phase of the school for which they are being nominated. Board members are expected to commit to their role for a three year period.